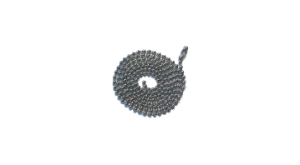 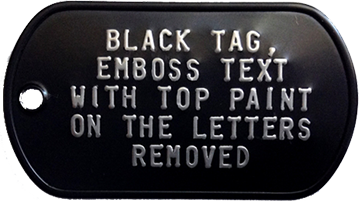 Whether your needs are personal, professional or promotional, we can meet your requirements for historical accuracy. 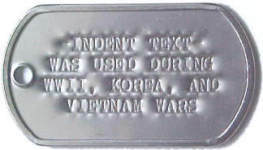 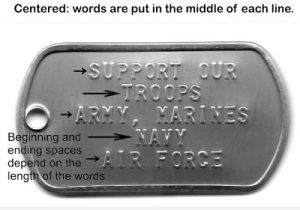 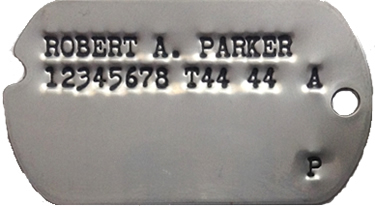 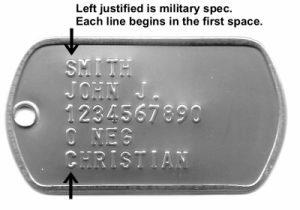 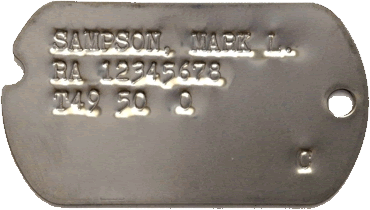 We provide dog tags in all government-issued styles: WWII, Korea, Vietnam as well as Current Issue, each with all services branches. 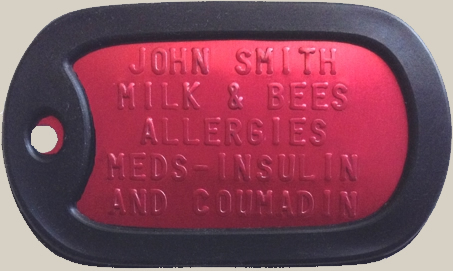 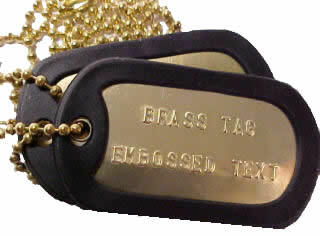 Each tag can be personalized with up to 5 lines of embossed/indented content and you can complete your order with additional accessories: choose from long or short ball chains in three metallic finishes as well as rubber silencers in 10 different colors or color styles. 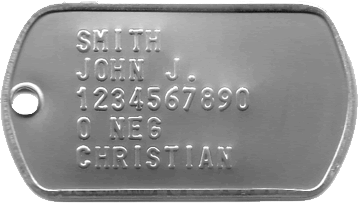 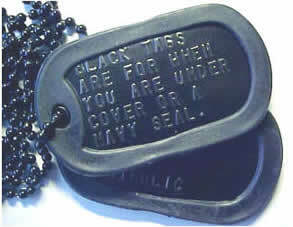 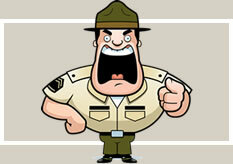 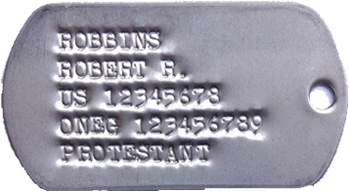 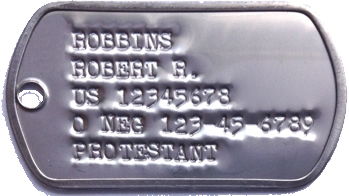 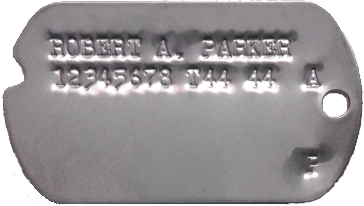 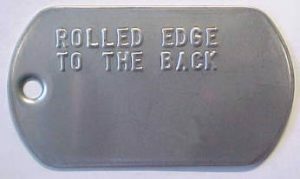 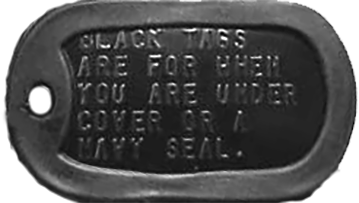 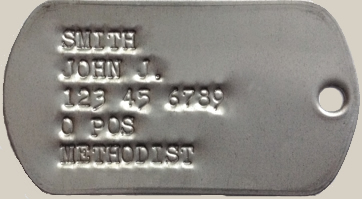 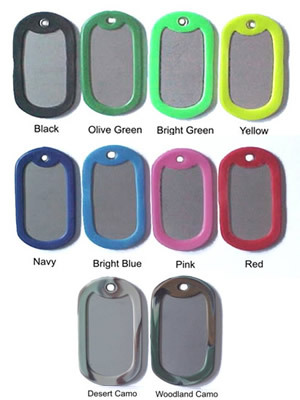 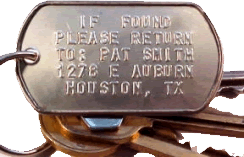 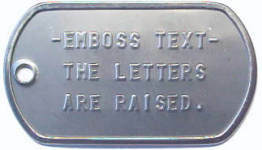 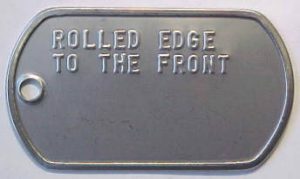 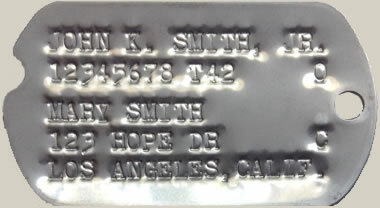 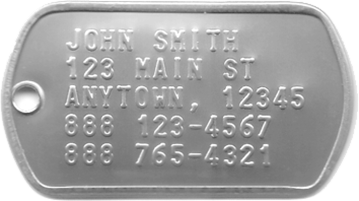 If you need dog tags, then you have come to the right place!